Happy Friday, ya’ll! What are your plans for the weekend? Really, please share! We’re doing baseball, birthday parties, a MOPS dinner and hopefully some kayaking! But enough about that. Let’s talk about something more important, like books, pizza and whales! 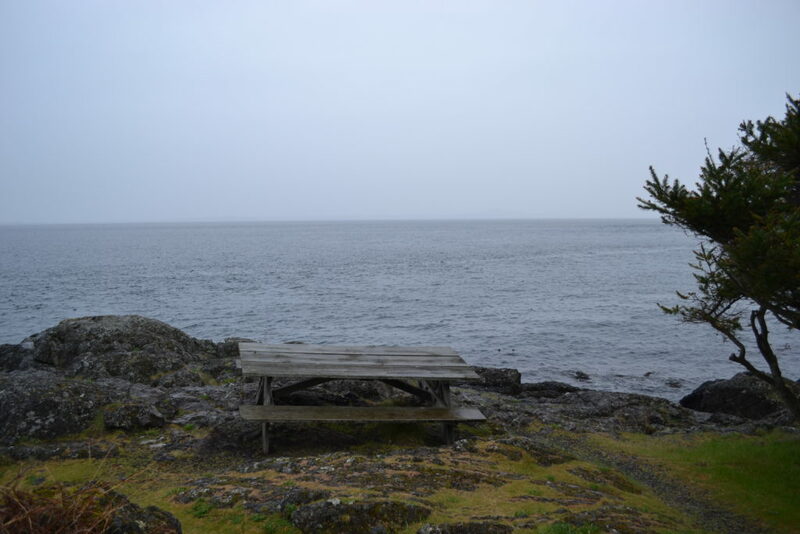 When we stayed on San Juan Island last month (which was incredible- read about it here!) 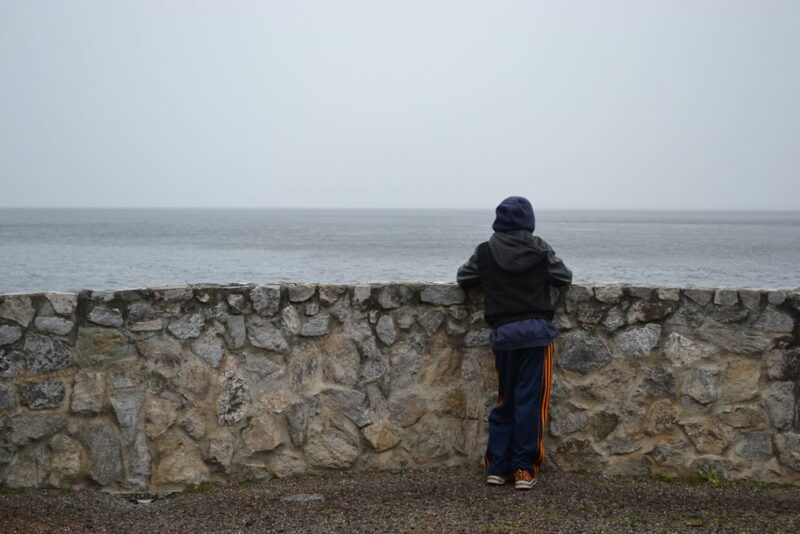 we had the BEST pizza of my life, visited the BEST book store of my life and you guessed it, we visited one of the best picnic spots ever- which also happens to be one of the most wonderful places to watch for whales. So here, let me plan your day trip for you! First, be sure you make your ferry reservation in advance, if you’re bringing your car. They book up fast! Now, let’s talk books—–how about 40,000 books?! It’s the most beautiful thing and surprisingly organized! 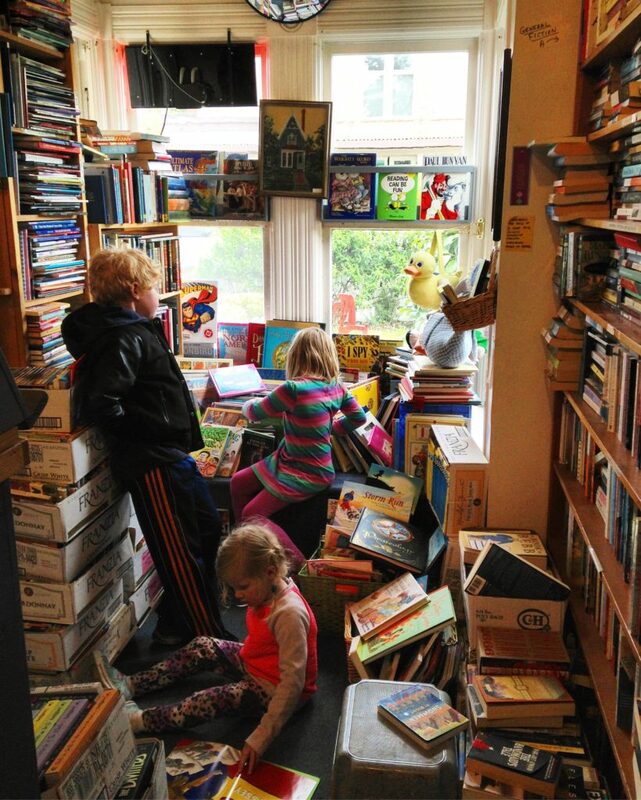 Serendipity Books belongs in your visit. We can’t wait to go back! Now let’s talk about something really important—the BEST pizza, like ever. I didn’t bring my real camera into the restaurant so please don’t judge the place by this photo. 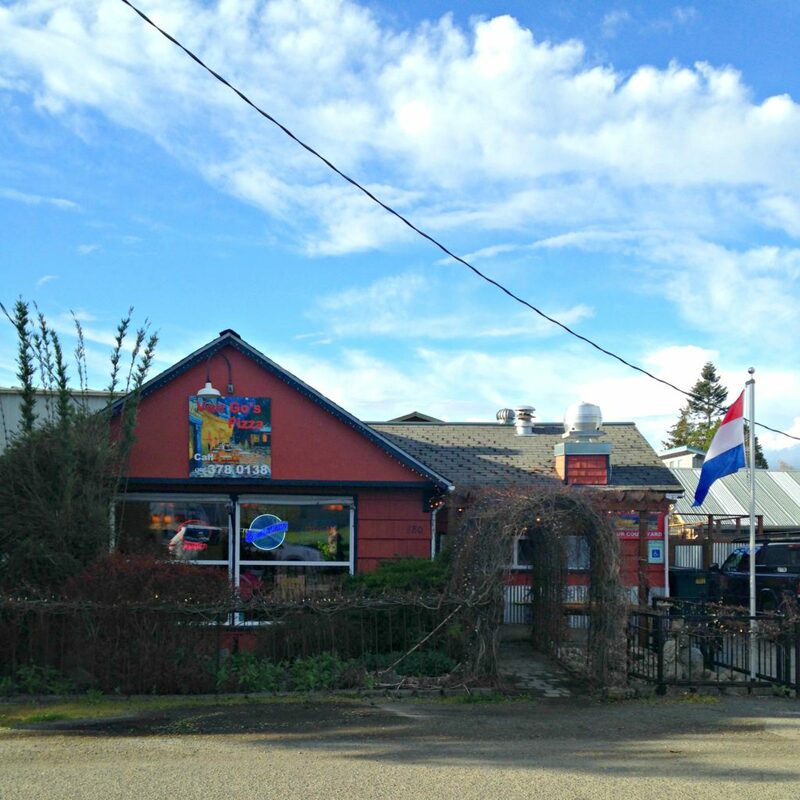 Instead go….to Van Go’s and then come back and thank me! Lastly, let’s talk whales. Lime Kiln Point State Park is a 36-acre Washington state park on the western shore of San Juan Island in the San Juan archipelago. The park is considered one of the best places in the world to view wild orcas from a land-based facility. Did we see whales when we were there? No, but we can’t wait to go back and try again. 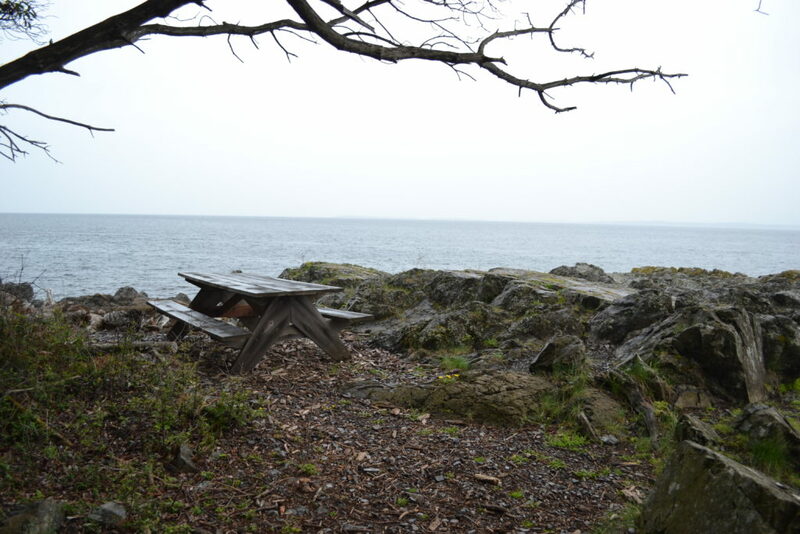 Just check out this picnic spot. Pretty perfect, right? And this one, too. Seriously! 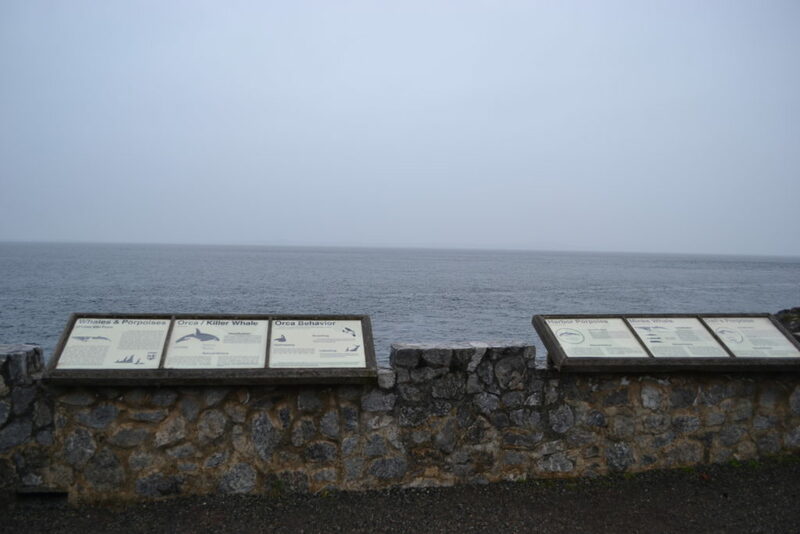 After delighting in the migration, whale-watchers can view an array of related exhibits and learn about local and transient whale pods at the Lime Kiln Interpretive Center. Other adventures include hiking, kayaking and diving. 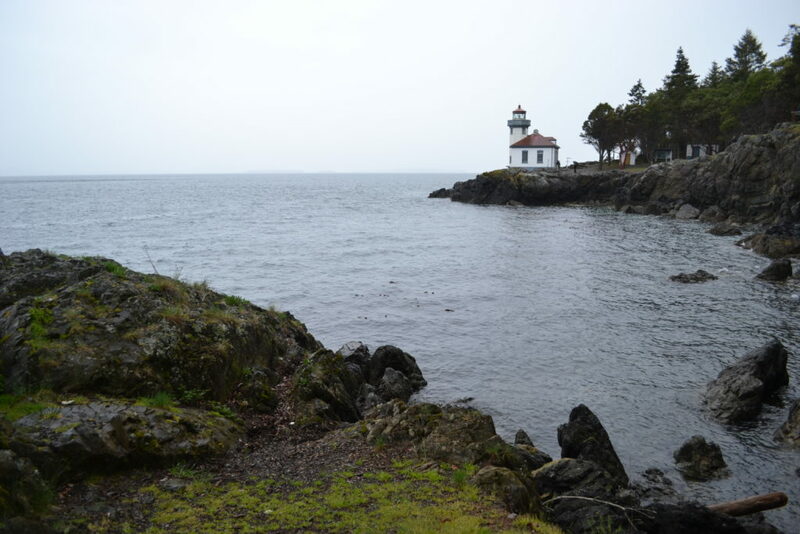 More favorites: touring the historic lighthouse and exploring the 19th-Century lime kiln for which the park was named. Happy weekend, friends! Here’s to books, pizza and whale watching! We’d like to extend a big thank you to Visit San Juans for partnering with us for this trip and to Roche Harbor Resort for graciously hosting us. We couldn’t have been happier with this trip! I love that book store too!! 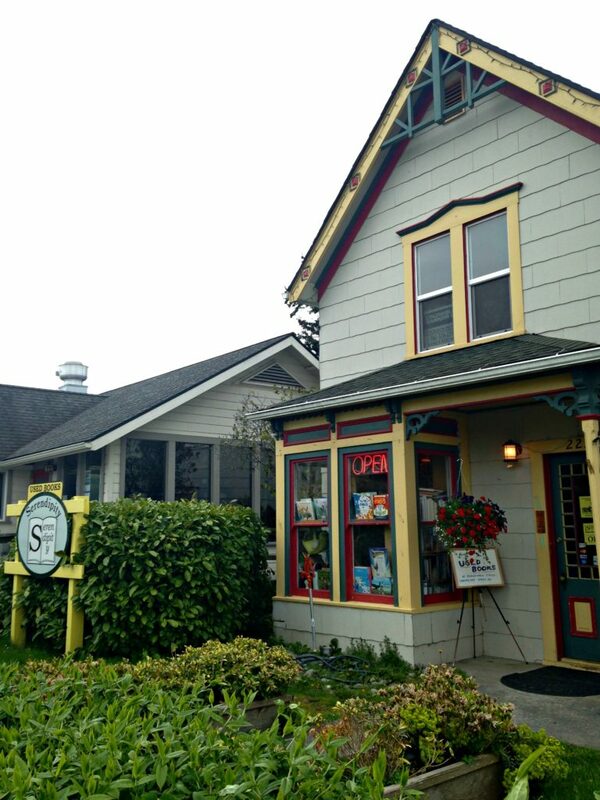 All of the bookstores on san Juan Island are great, in my opinion:) Lime Kiln State park is the best!! One of my favorites in the state!! 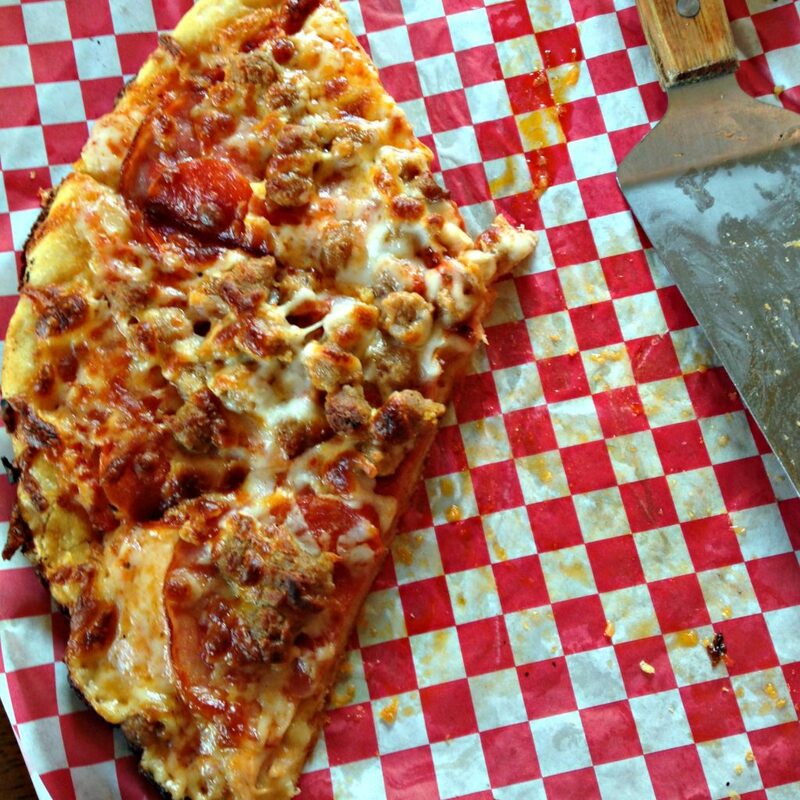 Will have to put Van Go’s pizza on our list for places to try this summer! 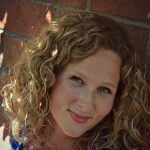 Thanks for sharing your finds!! Yes! Go to Van Go’s and let me know what you think. It’s SO GOOD!